On Wednesday I gave a talk about the progress we have made so far, showing a prototype of the layout and content editing part. 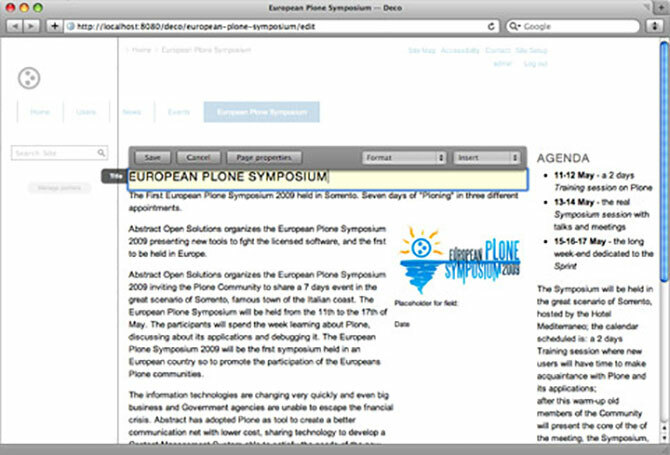 Integration with the Plone UI, Dexterity Content Types and the new rendering process called Blocks was covered as well. 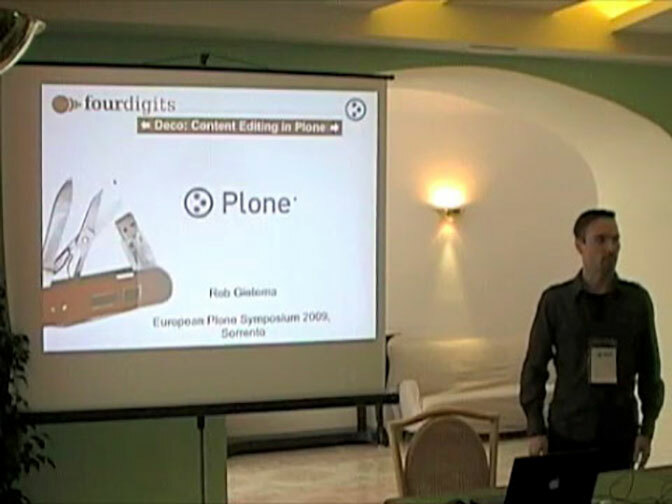 A video of the presentation can be found on Plone.tv and the slides can be found on Slideshare. On Friday and Saturday Deco was one of the sprint topics. New features were implemented and bugs have been fixed. A complete list of all the work which has been done can be found on Open Plans. If you would like to test Deco you can find the installation instruction the Plone SVN. Feedback about usability and implementation is very much appreciated. Help implementing Deco is also greatly appreciated, just sent me an e-mail if you want to help out. collective.anonymousview allows authenticated users to view a page as if they are not logged in.